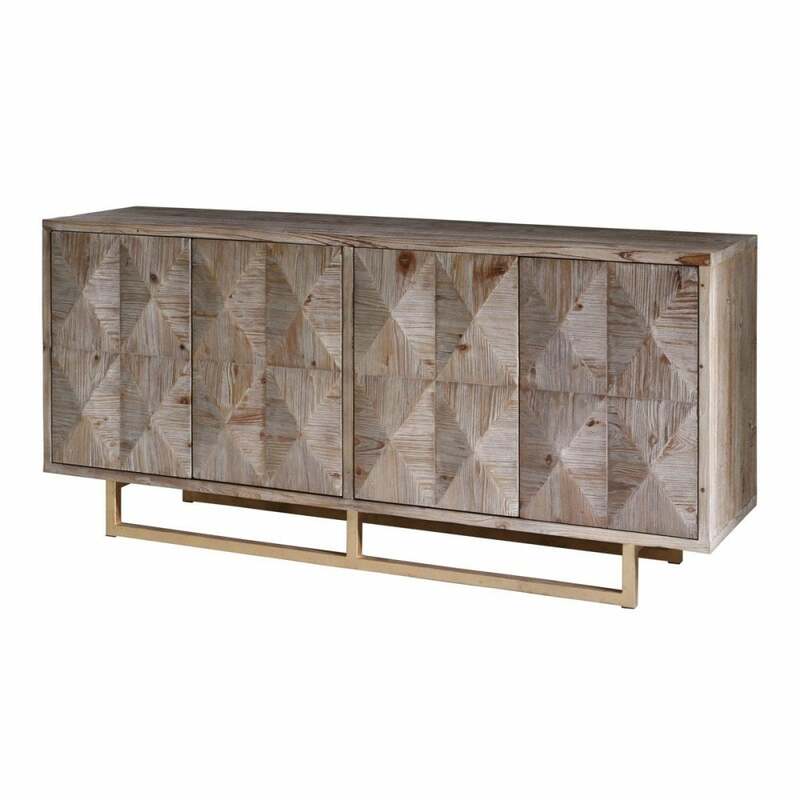 A statement geometric sideboard, inspired by the faceted style of the Cubism art movement of the early 20th Century. The brushed natural wood finish highlights the wood grains and knots, whilst the gold finish frame adds a layer of subtle elegance. Complete with soft closing doors and two shelves inside.